The world is “dangerously unprepared” for future deadly pandemics like the Ebola outbreak in West Africa, the president of the World Bank has warned. Jim Yong Kim, speaking in Washington, said it was vital that governments, corporations, aid agencies and insurance companies worked together to prepare for future outbreaks. He said they needed to learn lessons from the Ebola crisis. More than 8,500 people have died, most in Sierra Leone, Guinea and Liberia. 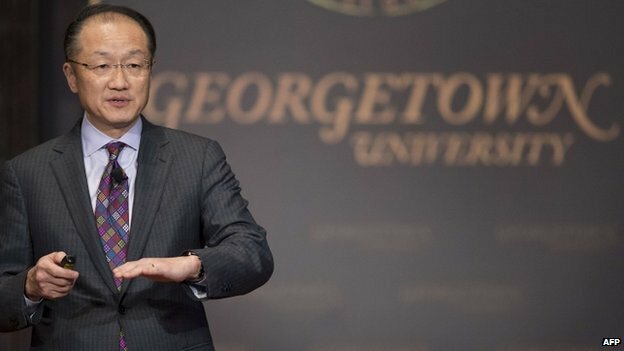 “The Ebola outbreak has been devastating in terms of lives lost and the loss of economic growth,” Mr Kim told an audience at Georgetown University. Mr Kim said the World Bank Group had been working with the World Health Organisation (WHO), other UN agencies, academics, insurance company officials and others to work on a concept of developing a financial “pandemic facility”. He said he expected a proposal for this to be presented to leaders of developed and developing countries in the coming months. Mr Kim said the proposal would probably involve a combination of bonds and insurance plans but that, in some ways, the facility could be similar to a homeowner’s insurance policy. “This could work like insurance policies that people understand, like fire insurance,” he said. “The more that you are prepared for a fire, such as having several smoke detectors in your house, the lower the premium you pay. “The more that countries, multi-lateral institutions, corporations and donors work together to prepare for future pandemics – by building stronger health systems, improved surveillance and chains of supply and transportation, and fast-acting medical response teams – the lower the premium as well. He said that one possible outcome of a pandemic facility would be a stronger World Health Organisation. He said disease-control agencies in developing countries could also develop greater capacity. Mr Kim said informal talks on the subject had also been held at last week’s World Economic Forum in Davos, Switzerland. His talk, “Lessons from Ebola: Toward a post-2015 strategy for pandemic response”, was the inaugural Global Futures Lecture at Georgetown. Correspondents say there is general acknowledgement among governments and global health agencies that the international response to the Ebola crisis was belated and disorganised. 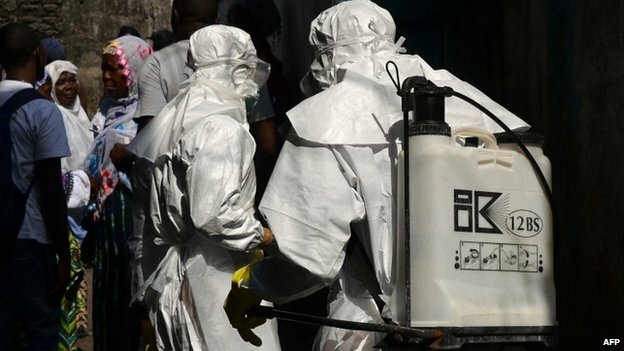 The WHO recently announced a series of reforms, admitting that it had been too slow to respond to the outbreak in West Africa. At an emergency session in Geneva, director-general Margaret Chan said Ebola had taught the world and the WHO how they must act in the future. She said the corner had been turned on infections but warned against complacency. Reforms announced included a dedicated contingency fund “to support rapid responses to outbreaks and emergencies”. There would also be improvements in international co-ordination and greater support for countries that needed to respond quickly to emergencies. As the migrating birds arrive they are being blamed for transmitting H5N? (we don’t know the designation yet) from Holland to the UK. A duck farm in Yorkshire is facing the slaughter of all its stock and there is an exclusion circle imposed. It is good that action has been taken so quickly and the threat to the UK’s human population remains very low. Outbreaks happen world wide on a regular basis. Again there is no reason to suspect this will start an outbreak amongst humans. I know it is never funny, but I couldn’t resist this cartoon! I thought this poster would be useful….